This post first appeared on Views from the Center. There is a lot of chatter about the reasons for Britain’s relative success in the Olympic games (at time of writing, Team GB is second in the medals table, ahead of China but behind the United States). This is an astonishing turnaround in just 20 years—in the Atlanta Games, Britain won only 1 gold medal, and came 36th overall on the medal table. As Emma Norris at the Institute for Government notes, this transformation in Britain’s sporting performance has generated a raft of tortured analogies with various non-sporting challenges, such as industrial and education policies (on which Britain’s performance is rather less stellar). So I’m leaping on the bandwagon with two lessons for international development. 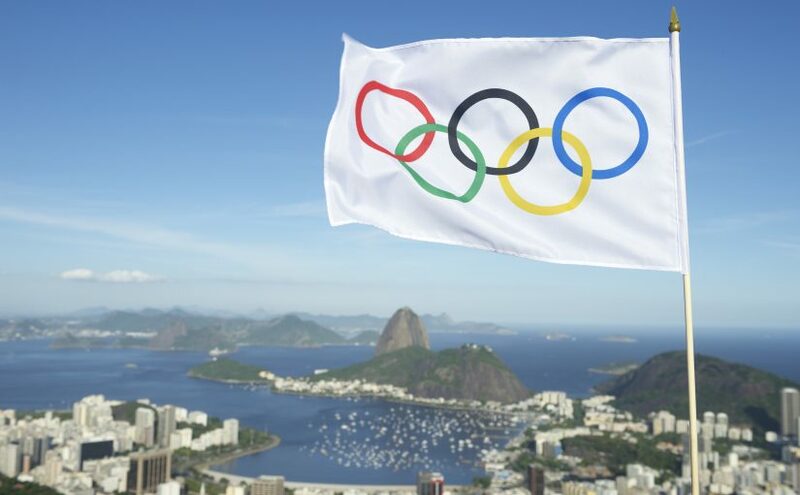 First, as has been noted in several places, funding has been directed towards sports that are likely to secure Olympic medals, and brutally yanked away from the others. This appears to have worked—but not by changing the incentives for athletes. Athletes presumably want Olympic medals for intrinsic reasons, not to attract more funding for their sport. Even the most ardent proponents of results-based funding would blush at the suggestions that it makes athletes train harder or perform better than they otherwise would or could. Athletes want the funding so that they can win the medals, not the other way round. (Obvious parallel in development: front-line staff want the funding so that they can change the world, not the other way round). And yet everyone agrees that results-based funding has played a big part of turning Britain’s Olympic performance around. It has done this not by creating incentives for athletes, but by channelling more money into successful activities (defined as winning medals), and away from unsuccessful ones. That has multiplied the overall success for the UK from a finite amount of funding (at least, on this particular measure of success—on which more later). Note that while results-based funding almost certainly makes no difference to the incentives for athletes themselves, it may well change the incentives of various other decision-makers in the system, such as sports administrators, coaches, universities and other sporting institutions. They now focus more on the desired outcome (more Olympic medals), which, for example, makes them tougher about team choices, or leads them to give less priority to other competitions between Olympic games. So results-based funding appears to align organisational incentives with the athletes’ objectives (winning medals), even if it doesn’t change the incentives of the athletes themselves. Olympic sports have been managed as a portfolio, not a winner-takes-all competition for money: UK Sport has not allocated the entire budget to the sport with the best prospects of medals (probably cycling). In part this approach recognises that there are diminishing marginal returns to additional investment, and in part it reflects a preference for diversity (that is, we would rather have the same number of medals spread across many sports than have them all concentrated in one). A lesson for development is that results-based funding can significantly increase—perhaps by more than an order of magnitude—the impact of a limited budget. You do not need to believe that front-line staff need stronger incentives to do their job. It may work instead by overcoming various biases that allocate resources ineffectively, and by realigning incentives for governments, aid agencies, NGOs and other institutions to make them more supportive of the (probably already well-motivated) efforts and intentions of their front-line staff. The second reason for the improved performance of Team GB appears to be the “marginal gains” approach pioneered by Sir Dave Brailsford, a former professional cyclist and MBA who took over as performance director for British cycling in 2003. Before Brailsford, the UK cycling team had won only one Olympic gold medal in the whole of its 76-year history. Five years later at the Beijing Olympics, the British team won seven of the ten gold medals. At this year’s Rio Olympics, every single member of the British Cycling Track Team won a medal. Brailsford looked for improvements in obvious places, such as training and nutrition. But as this Harvard Business Review interview explains, he also looked in places nobody else considered: the best kind of pillow to sleep on, the best kind of massage gel, and teaching athletes not to shake hands to avoid the risk of spreading germs. For example, unlike other teams in Rio, the British cyclists have started using “liquid chalk” to improve their grip on the handlebars, rather than gloves which are less aerodynamic, heavier, and reduce the athlete’s feel for the bike. These marginal gains come about from a combination of theory and endless testing and feedback. I’ve been struck by the number of athletes in Rio who have paid tribute in interviews to the “Team GB data analysts” as well as to their coaches, physios and nutritionists. Each of these small changes—whether it is the aerodynamics of the bike, the training regime, or the nutrition—is tried and tested, and then adapted (or abandoned) in the light of what the data show. Fluid mechanics are notoriously difficult to model, so the lessons all come from making small changes and then testing them in a wind tunnel and on the track, adapting them until the desired gain is achieved. The athletes have seen first-hand how useful it is to use data to make decisions about which changes to adopt. What are the lessons for development? One is that we should resist the search for the silver bullet: the one big intervention that will transform a service or put a country on a path to development. Many people who work in development claim that the sector in which their expertise lies is a (sometimes “the”) key to unlocking progress in all others. But it seems more likely that, as with Olympic glory, change happens through a series of marginal gains across the board which cumulate to a significant overall impact. Nutrition is not the answer to cycling; nor is it the answer to development. It is one of the many things you have to work relentlessly to improve. (In other words, I don’t agree with my colleague Lant Pritchett, who argues that the development industry focuses too much on incremental improvements and should instead pursue a broad national development agenda.) The other is that you cannot arrive at these gains solely from theory or ideology. You make small adjustments and then test, test, and test again until you are confident that you are getting the improvement you seek. Marginal gains depend on getting data, and listening to the data scientists. The UK’s Department for International Development is one of the best aid agencies in the world, and like Team GB, it has outsize success and influence around the world, adding to Britain’s reputation and influence at relatively little cost. And like Team GB, it can stay at the top of its game by focusing resources on where they are best used, allocating them according to success, and using rigorous testing, evidence and analysis to make marginal gains which add up to significant improvements.